In 1867, the first auto race was held on a dirt road in the UK. It topped out at a paltry 12mph – or roughly three times the legal speed limit at the time. Yes, there was once a time that cars were only allowed to run as fast as humans could walk. But as the speed increased, the popularity of the bourgeoning sport did, too. By the 1890s, major automakers counted on racing as their proving grounds for new innovations. But, alas, these great leaps forward came at great cost. Race cars were hitting pedestrians, running off the road, and causing injury and death. So city-to-city racing was effectively banned, and car manufacturing was standardized to a specific … formula. The fastest of these classes was called “Formula 1.” As speeds increased into the triple digits, more and more driver fatalities were being registered. It wasn’t until a group of drivers boycotted before a race in Germany that owners, organizers, and particularly advertisers started paying attention to safety regulations. Driving in the digital age. The first digital sensors appeared on cars in 1975, and as computing technology grew by leaps and bounds in the coming decades, the amount of data points that could be measured on cars proliferated exponentially. Innovations like anti-lock brakes, traction control and KERS stemmed from F1’s continued chase for perfection. But can cars become too fast to drive? Can all this data and digital innovation make racing too perfect? 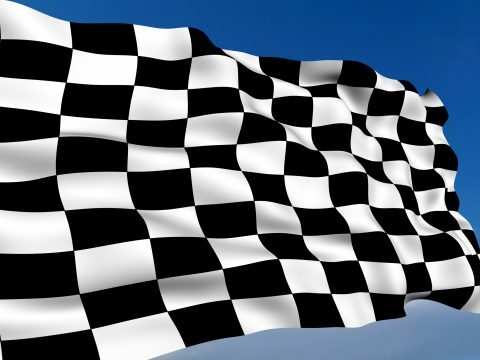 With tens of millions of dollars poured into each F1 car, and over 100,000 data points registered every second, one thing that fundamentally hasn’t changed is the sport itself – drivers risking their lives and livelihood to cross the finish line first, and the technicians and teams behind the chase for the checkered flag. The first auto race was at 12 mph and, of course, illegal. Racing’s slow infiltration into the mainstream. Faster speeds come at a great cost. The reason we have race tracks. The secret “formula” behind Formula 1. The breaking point driving F1’s push for safety standards. Advertisers: okay with crashes, but not with injury and death. The driver boycott that changed the sport. Digital sensors on cars … in 1975. Real-time telemetry begins driving the sport in a new direction. Antilock brakes, traction control and KERS. All F1 innovations. Can cars become too fast to drive? Can racing become too perfect? Tens of millions of dollars. One F1 car. 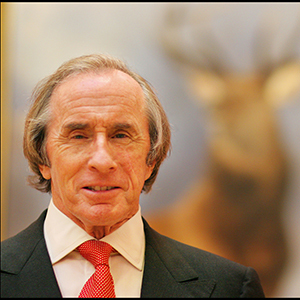 Sir Jackie Stewart is a former Formula One driver and three-time Formula One World Champion. He has won 27 of 99 Grand Prix races and was knighted in 2001. 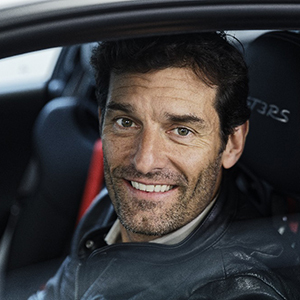 Mark Webber is a former Formula One driver with nine Grand Prix wins to his name. He is also an FIA World Endurance Champion, Porsche ambassador and regular TV pundit. Tony Purnell was the principal of Jaguar and Red Bull F1 teams. He was also the Technical Advisor to the President of the Federation Internationale d’Autosport making the rules for the future of F1. 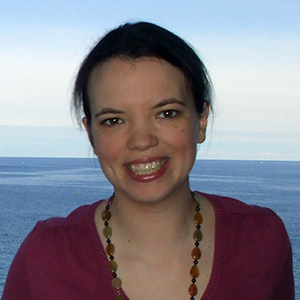 Caroline Reid specializes in writing about the business of Formula One. She is the founder of Formula Money, the trade guide to the sport, and the annual ZOOM F1 charity project. Walter Isaacson: Welcome to the world’s first known automobile race. It’s 4:30 in the morning of August 26th, 1867. A small group of men have gathered in the English village of Ashton-under-Lyne, just east of Manchester in the United Kingdom. Isaac Bolton, a steam car pioneer, and engineer Daniel Adamson have climbed aboard their automobiles. Each vehicle has a flat deck dominated by a tall, round boiler resting on two large back wheels and a single wheel on the front with a tiller for steering. Isaac’s is a one cylinder. Daniel’s is a bigger twin cylinder. Once up to steam, they were off. It was revolutionary, it was exciting and it was illegal. Two years earlier, after heavy lobbying form railway barons and the horse and carriage trade, Parliament has been the Red Flag Act. It’s purpose was to halt the fledgling automobile industry in its tracks. Each automobile, the law stated, must have a crew of three and a flag man was required to walk at least 60 yards ahead of a vehicle at all times, which wasn’t difficult because the act also capped the speed limit at four miles per hour on open highways and two miles per hours in cities and towns. As if trying to outrun the law, Bolton and Adamson hurdled across the English countryside at speeds upward of 12 miles per hour. Bolton spotted Adamson a quarter of a mile lead, and then with five passengers in tow, surged ahead to victory. Shortly before sunrise, he arrived in Old Trafford, some eight miles away. Motor racing was born and it would soon leave the Red Flag Act in its dust. Fast forward to the Formula One racing circuit of today. Bolton and Adamson wouldn’t recognize any of this. What began as a merry jaunt down a dirt road has become a $3,000,000,000 high speed, high stakes industry. It’s backed by the world’s richest brands, boasts breathtaking feats of engineering and turns drivers into celebrities. 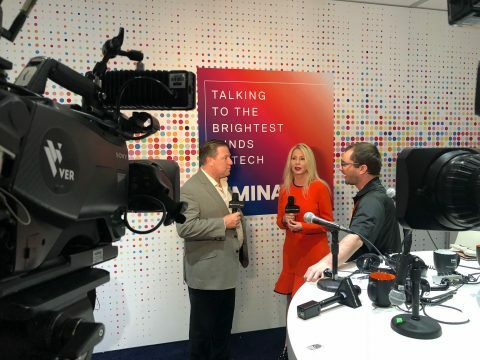 I’m Water Isaacson, and this is Trailblazers, an original podcast from Dell Technologies. Mario Andretti: I’m Mario Andretti. Speaker 2: Well okay, Mr. Hot Shot. Speaker 3: He’s got a good car and he likes to show what it can do. Speaker 4: Speed naturally results. Speaker 5: Seems like breaking the sound barrier. Speaker 6: Crash helmets are a must. Speaker 7: The winner gets a gold cup and a kiss. Walter Isaacson: July, 1894, automobile fever has spread through Europe. A group of engineering luminaries are gathered in the home of Count Jules de Dion. Though dressed as a gentleman, he bore a what are you looking at expression, a reputation for gambling, and a passion for automobiles. That summer, Le Petit Journal had sponsored a hugely successful competition between Paris and nearby Rouen. It wasn’t exactly a race. The 5,000 franc prize went to the vehicle that could finish the 80 mile journey “without danger and was easy to handle and in addition was cheap to run”. The count finished first averaging a breakneck speed of 11.6 miles per hour, but that wasn’t enough to win the competition. Spectators, however, were enamored. For most of them, speed and crossing the finish line first were what really mattered. And for de Dion, it was time for a real race. So on a bright Paris morning a few months later, 21 entrants gathered at Port Mayo before massive crowd. There were six steam powered cars, one electric, two motorcycles and 13 gasoline engine vehicles. The event attracted current and future automobile legends Benz, Peugeot and Daimler. It was here that Edward Michelin pioneered the use of pneumatic rubber tires which he had to change 21 times during the race. Paul Cocoran was declared the official winner despite crossing the finish line 11 hours after the first car driven by Emile Levassor. Levassor lost on a technicality because he was driving a two seater, not a four seater as stipulated by the rules. Motor racing quickly became an R&D proving ground for cutting edge technologies such as guild tube radiators, steering wheels, gear and chain transmissions and for larger more powerful engines. By 1901, as automobile sales soared, racing cars reached speeds up to 80 miles per hour. Fans wanted more. They wanted faster, The more was easy, but the faster would come at a steep cost. In 1898, motor racing experienced its first fatality when two cars collided along a French country road and rolled down a steep bank. Other deaths followed. The era of city to city motor racing was over. Races were thereafter confined to circuits, repeating routes set away from cities and towns. In those early decades, right up until the late 1930’s, big name car manufacturers were the king of car racing. But war changed all that. With major automakers retooling their factories for war production, smaller boutique names emerged in racing, names such as Ferrari, Maserati, Guardini, and Fiat. Organizers soon grasped the importance of an even playing field among cars and race, so a formula system of standards was introduced to which racing cars would conform. The fastest class of these would be called Formula One. Motor racing had come of age. The 1960’s was a golden era for Formula One. Mclaren, Hill, Clark and Stewart were among the biggest names in the sport. Technology had made cars faster than ever, but safety had been left behind. It was as exciting as it was dangerous. 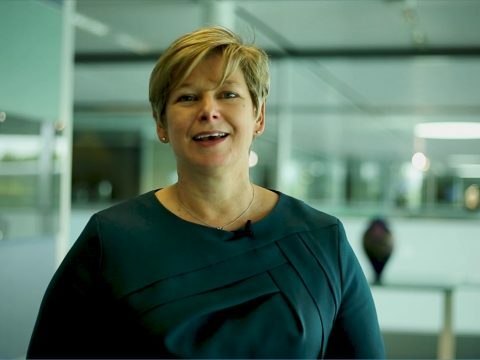 Caroline Reid: Back when Formula One started the world championship in 1950, it was very different to what we see now. There was very little safety. Walter Isaacson: Caroline Reed is the publisher of Formula Money, a site that collects data about the financial side of the racing industry. Caroline Reid: Drivers didn’t always wear seat belts because they were actually frightened of the cars setting on fire, so they wanted to be able to exit quickly if they needed to. They didn’t always have proper crash helmets. The helmets they were Jackie Stewart would lead the crusade wearing were sometimes more like cycle helmets. The tracks were surrounded by bales of hay instead of the professional barriers we see nowadays. Walter Isaacson: Formula One racing underwent a dramatic change. Caroline Reid: What happened during the sixties and early seventies is that a lot of the big name drivers were getting killed, people like Jim Clark, Bruce Mclaren, and one driver Jackie Stewart decided that enough was enough. Jackie Stewart: Suddenly we all realized that safety just wasn’t there. Walter Isaacson: Sir Jackie Stewart. Jackie Stewart: My wake up to motor racing safety was an accident I had when I was driving in the Belgian Grand Prix at Spa-Francorchamps which is one of the great circuits of the world. We started in dry weather and ran into thunder rain. I hit a river of water and aquaplaned. I knocked down a telegraph pole, I knocked down a woodcutter’s hut, and I ended up in the outside basement of a farmhouse actually. I was trapped in the car. Walter Isaacson: This was in the days before TV coverage, before GoPro cameras, before drivers had two way radios. Stewart was alone, in trouble, and running out of time. Jackie Stewart: Fuel tanks had ruptured around me and I was being burned by being what was at that time a very high aviation fuel, very toxic. I was trapped in the car for about 20 odd minutes. Graham Hill and Bob Bondurant, Bob’s still alive, an American racing driver, two of them went off the road in the same river of water as I did, but there was nothing left to hit. I had knocked it all down more or less. They tried to get me out of the car. If you can imagine, there was no marshals, nobody to assist, no medical help, no ambulance. They had to borrow wrenches from a spectator’s car to remove the steering wheel in those days because they weren’t immediately removable steering wheels in order to take me out of the car. I was drenched in high octane aviation fuel which burned heavily and I was put in the back of a hay truck and I was semi-conscious coming and going and I was burning my skin off. Graham took all my clothes off and then I was lying absolutely naked in the back of this hay truck. He went of and left me on my own looking for help. That really started, if you like, my interest in changing things. Walter Isaacson: Jackie Stewart would lead the crusade for safety in Formula One. But despite it’s rapidly changing technology, the world’s fastest sport was one of the slowest to embrace change. Jackie Stewart: The governing body at that time seemed to be fast asleep. The car owners were a little nervous because they said if we’re going to put our foot down too hard some races may be canceled and therefore they wouldn’t be getting the starting money or the winnings money. So there was a lot of aggravation about the whole thing. Walter Isaacson: The Formula One governing body wanted to expand the sport and to do that it needed to find attraction with American fans. Increasing engine capacity was part of the strategy. Their line of logic was this, larger, more powerful engines would make the sport faster. Faster, more sophisticated cars would grow the fan base in America. More American fans would tempt the major car manufacturers, deep pockets and all, into Formula One. It would also push Formula One risk taking beyond tolerable limits. New safety standards and better technologies were needed, but progress was stalled. Formula One fans were reconciled to the occasional fatality. That culture was about to change. 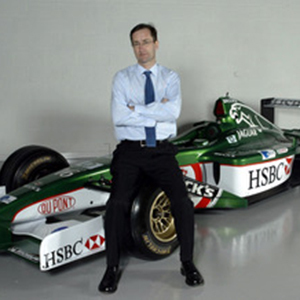 Tony Purnell was team principal of the Jaguar racing team. Tony Purnell: I think generally, the public don’t want to see anybody hurt. They don’t mind cars flying left, right and center, and they probably like a good smash up, but they always want the driver to get out and kind of brush the dirt off their sleeves and smile at everybody and wave. Jackie Stewart: We asked for certain modifications to be done. Jochen Rindt was sent as a member of the Grand Prix Drivers Association to inspect the Nürburgring. The organizers and the owners would not alter one thing to make it safer, not one little thing. you’ve got to have medical facilities. You’ve got to have fire fighting abilities, and in those days many of the fire extinguishers that were being used were simply not good enough to put a petroleum fire out. So it was just ridiculous. Walter Isaacson: At Stewart’s urging, the drivers agreed to a boycott at which point he had to cope with a whole new kind of danger. Jackie Stewart: By that time, I was by far the most popular driver in the world I was winning races. I was winning World Championships, but I was getting death threats. Walter Isaacson: Despite a huge public dust up, the race was relocated. When the German Grand Prix returned to Nürburgring the next year, organizers had met almost all of the drivers safety request. Stewart’s stubbornness was paying off. Jackie Stewart: By then I was driving cars with steering wheels that were detachable so that if an accident did occur, you could get out of the cockpit, by which time I was driving a conservatively better flameproof uniforms with much more thermal underwear in case of fire. The helmets had changed impressively. The whole structure changed. The management of motor sport changed. Walter Isaacson: But with the dawn of the digital era, Formula One was about to undergo even a bigger change, home computing, microprocessors, information processing. With the rise of computer technology in the 1970’s Formula One engineers became early adopters. It started in 1975, when McClaren engineers ran an experiment. By adding digital sensors inside their cars, they could capture 14 data points on an onboard computer from which it could be downloaded and analyzed later. What if, the engineers imagined, a mechanical problem could be analyzed or anticipated or even solved in real time during a race, eliminating the need for a lengthy pit stop. Tony Purnell was with Team Jaguar. Tony Purnell: I ran a company that supplied telemetry for many years, so I’m definitely one of the culprits in the history of Formula One here. The first time I went to a race car test, I could hardly believe it. My company and others started to make data loggers, recorders of what the car was experiencing and then those data loggers and recorders became real time with radio and that’s where telemetry was first coined. Walter Isaacson: In the pit, rows of computer terminals began appearing next to tool boxes. Computer engineers joined pit crews along side mechanics. As real time telemetry came into use, fans and reporters began to complain that technology was taking drivers out of the equation and alienating fans at the same time. Tony Purnell: Today there’s I think in excess of 1,200 things regularly monitored on a Formula One car and sometimes that complexity alienates the fans because you know they want to see racing. They want to see the man versus machine. They don’t really want a geeky sport with engineers doing sums in the pits to decide the race. Tony Purnell: It is very much like a dance and what underlies this is the fact that everybody knows that if we didn’t have regulations, the cars would be so fast that no driver could drive them because they simply couldn’t breathe or keep their heads up. The G forces would be so great that the cars couldn’t be driven and they would be super dangerous because the drivers would be in danger of blacking out around the bend, so de facto, we have to have regulations to keep the speeds of the cars in check. In reality, you know it’s good for everybody and the system would break down without them. Walter Isaacson: Safety improvements must continue. One of the newest is the halo, a protective frame above the cockpit designed to protect the driver’s head. Critics complain that it’s unnecessary. Drivers complain that it impedes their vision, but the lifesaving benefits of the halo outweigh the drawbacks. Caroline Reid. Caroline Reid: A few weeks ago at the Belgian Grand Prix in Spa, it was fortunately proved that the halo was a very good idea because a young driver driving for Sauber, a guy called Charles Leclerc, he was in a big crash at the first corner and another car came over the top of him and he got out of the car and there were tire marks across the halo. Walter Isaacson: The halo is welcome proof that Formula One has embraced the safety first mantra. Former drivers such as Mark Webber and Sir Jackie Stewart argue that while safety is a priority, Formula One must always leave room for drivers to make mistakes and therein lies the tension. Retired Formula One driver Mark Webber. Mark Webber: If there’s no mistakes happening, I’m not talking about a crash into the wall, but I’m talking about just mistakes, like if drivers are going around and making absolutely no errors, then that obviously would be quite boring to watch I would imagine. Jackie Stewart: There is the thrill of an accident. And even as racing drivers, many times Jim Clark and Graham Hill and I would rush up to a corner where we knew that there was going to be incidents. It wasn’t, we don’t want to see anybody die, but we saw people make mistakes, some of them silly little mistakes. They didn’t even hit anything. But it was amusing for us, as it is exciting to see a big accident But if the driver is sitting in a survival cell and if there are firefighters right to the accident and medical facilities right to the car, sometimes even before it stops, that’s exciting. That’s what part of motor racing is, and that’s part of its popularity. Today it’s remarkable how safe motor racing is. The speed of the accidents, the dynamics involved and yet the drivers are stepping out after huge accidents For me, I couldn’t be happier in that respect. Walter Isaacson: A single Formula One car now costs tens of millions of dollars to build. Progress is measured in millimeters and fractions of a second and on average, changes are made to the car every 20 minutes. These modern engineering marvels each contain more than a half mile of wiring. On a single race weekend, its hundreds of sensors generate 100,000 data points per second and those data points are used to make decisions in real time. Inevitably big data is playing a growing part in the world’s fastest sport, yet Formula One drivers, fans, writers and philosophers know something that machines don’t. Pit crews, data crunchers, technicians and brilliantly complex machines may be the life blood of Formula One, but it’s the driver who will always be the hero. In that sense, the essence of racing hasn’t really changed in 150 years, give or take about 190 miles per hour. I’m Walter Isaacson, and this is Trailblazers, an original podcast from Dell Technologies.